It’s Win-It-Wednesday for all parents out there! For this week, we are giving away this Simple Dimple Superman Backpack (worth $79.00) to 1 AWESOME parent! 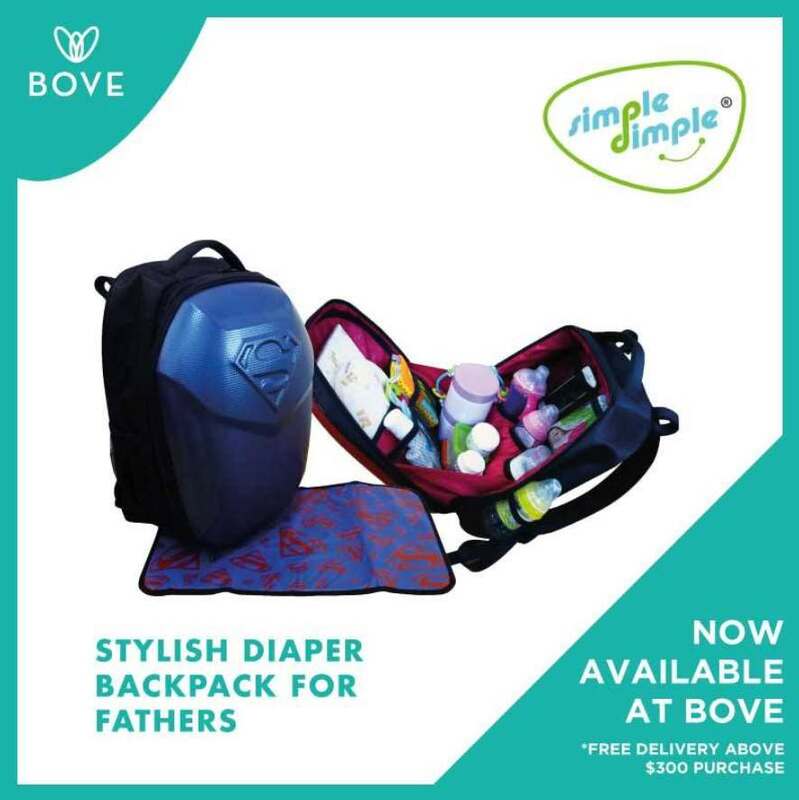 The ULTIMATE MULTI-FUNCTIONAL BACKPACK YOU’LL EVER NEED, specially designed for fathers! Just like the man of steel, the Superman bag is light-weight, water resistant, anti-scratch and shock proof! 5) Tag 3 friends in your comment! This giveaway will end on next Wednesday, 17th May 2017 and the winner will be picked randomly on the day itself. Please note that collection of prize would take a week. Thanks for joining 🙂 It’s available to purchase at BOVE – Megastore located at Suntec City, Tower 3/4 #02–728/729/730, Singapore 038983! FREE Delivery above $300! Visit http://www.springmaternity.com/ for more exceptional products! Find out more at Bove by Spring Maternity.